SO it could be argued that we say this a lot but we recognise that our biggest asset is our people. As a family business we want our staff to feel valued and to enjoy coming to work. 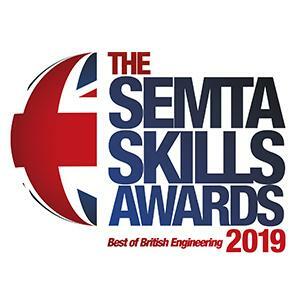 So it is an incredible honour to be nominated for the SEMTA Investment in Skills Award. This award acknowledges the investment made in skills by a small to medium sized enterprise in the advanced manufacturing and engineering sector, so we fit the category perfectly! 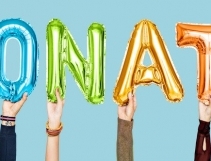 We are one of three companies shortlisted, with our fellow nominees being George Utz Ltd who are based in Alfreton, Derbyshire and Superior Seals Ltd of Wimborne, Dorset. 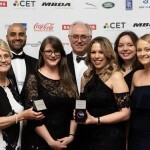 The award will recognise the company that invests in the training and development of its staff and can demonstrate the impact that this has had on both the workforce and business. 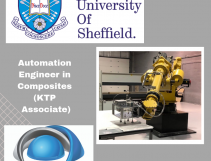 So regardless of who wins on the night we are pleased to have been shortlisted in this category in this national competition celebrating the best in British engineering. 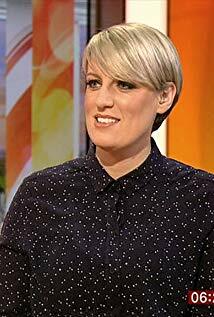 The award ceremony will be held tomorrow Thursday 21 March at the Park Plaza Westminster Bridge Hotel in London and is hosted by BBC broadcaster Steph McGovern. 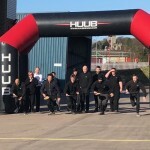 A team representing the company will be taking a rest from their uniform, dressing up and stepping out at this prestigious event and hope to return a winner. 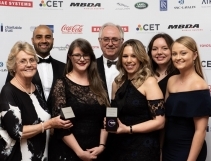 Zoe Cooper, HR and Training Officer is thrilled to be representing Pentaxia and stated “Win or lose, we’re just so proud to be in this category”. 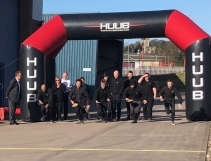 With an ever increasing order book, we will continue to invest and grow our workforce and are continually looking for talented individuals to join our team. Please visit the careers section on our website to see current vacancies.